Analytics is defined as the scientific process of transforming data into insight for making better decisions. It helps improve processes, saves cost and enhances revenue. Although analytics has been around for a long while, it wasn’t until the last 5 to 10 years that its importance in the business field has been realized. It was in the last 10 years that technology has been revolutionized and we now produce about 2.5 Quintilian bytes of data every day. What has also changed in the last decade is that we now have the means to sift through these 2.5 Quintilian bytes of data in a reasonable amount of time, with little cost to store it. In organizations, analytics enables professionals to convert extensive data and statistical and quantitative analysis into powerful insights that can drive efficient decisions. Therefore with analytics organizations can now base their decisions and strategies on data rather than on gut feelings. Thus with powerful insights, analytics promises reduced costs and increased profits. The analytics Industry is one of the fastest growing in modern times, poised to become a $50 billion market by 2017. With this sudden surge in the analytics industry there is a tremendous increase in the demand for analytics expertise across all domains, throughout all major organizations across the globe. It has been predicted that by 2018, the United States alone could face a shortage of 140,000 to 190,000 people with deep analytical skills as well as 1.5 million managers and analysts with the know-how to use the analysis of big data to make effective decisions. Who Can Get Into Analytics? There is no dedicated undergraduate degree for analytics as it is combination of various fields. Hence, no degree in itself can guarantee a career in analytics. However, Engineering or Statistics/Maths degrees are preferred but not necessary. *Note: Designations like data scientist, business analyst, data analyst and consultant are used interchangeably by different organizations. How to Prepare for a Job in Analytics? If you are from a tier-1 institute then there are a good number of companies offering analytics related roles like data scientist, business analyst, data analyst, consultant and so on. Interview preparation (as mentioned above) is pretty standard and abundant information/resources can be found on the web. However, for tier-2 and tier-3 institutes very few and sometimes no company offers such roles. The only reason is that the number of applicants is so high that they need to filter out candidates. I have done engineering from tier-2 institute and very few companies offered analytics related roles on campus. Not that I was too concerned with placements, not until the companies actually started pouring in. After initial carefree years, every final year student has to decide what he/she really wants from life. I was no different, confused as to what I really wanted to do. I did give GRE (getting a good score) but soon dropped the idea of pursuing MS as I had no inclination towards a particular subject. I dropped the idea of giving the MBA/MTech entrances as well. I sat for Accenture and got placed as an Associate Software Engineer. As the job situation in the market was pretty tight, once placed, we were not allowed to sit for other companies coming on campus. I applied for other companies off campus but could not even manage to get interview calls from most of them. With thousands of people applying for the same position, I was in no way better than them. So on 26th August, 2014 I started working in Accenture. I liked my work but this is not what I wanted to do for the rest of my life, neither did I want to pursue Post Graduation without an aim in mind. I did not want to get into a trap just to run away from one. Two months after joining I started reading about analytics on the net. I started reading blogs, watching videos on YouTube and going through work profiles of people in it. The more I read about it, the more it fascinated me. 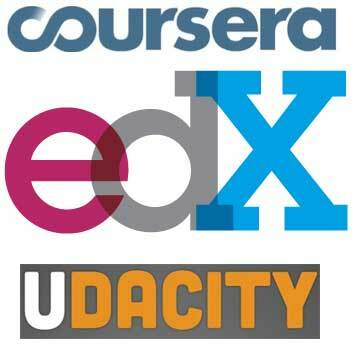 Around this time I was first introduced to the concept of Massive Open Online Courses (MOOC). It is a course of study made available over the Internet without charge to a very large number of people. So I had the access to analytics courses offered by world’s best universities for free. It was as if I had struck gold. I could work on these courses after office hours and during weekends without compromising on my job work. For the next 8 months I not only completed these certification courses but also participated in online competitions, became part of professional communities and read various blogs/articles. I started applying to companies for roles like data scientist/analyst/statistical modeler and so on (It’s the work profile that matters and not the designation as designations can be misleading). I got calls from many companies and in almost every interview I did well. I had developed the industry knowledge by reading blogs/articles and being part of professional communities, technical knowledge by doing MOOCs, hands on experience by completing MOOC assignments/projects and online competitions and most importantly developed the confidence that I was the right candidate. It’s amazing what you can do in an interview when you’re confident about yourself. Ultimately I had a few offers to choose from. I chose to shift into Accenture Analytics after a round of interviews. Interview Process – Every company has its own interview process as I had described earlier. Some are rigorous and some can be cracked more easily. Prepare for them in advance. Internships – There are analytics companies willing to hire you as an intern. Not only will you learn a lot but it reflects well on your resume. MOOC – It provides you with wealth of knowledge and hands on experience. Do not complete it for the certifications. I was never asked to show even a single certificate for over a dozen of interviews. If you can convey what you learnt from such courses, it’s more than enough. Projects/Competitions – It’s best when you can show your work in form of a project or some competition. Its gives credibility to your knowledge and skills. Create a Github account and put all your work there. Professional Communities –When you’re part of professional communities you meet loads of people having similar interest and you get to learn a lot. I have mentioned a few of the communities that you can join. Reading Blogs and Articles – It widens your horizon. As it is a gradual process, its best to read simultaneously with your preparation. Resume – Having a cracker of a resume helps you get the crucial interview calls. Give your resume time and consideration before applying. If you really want to start a career in analytics you can do so for free. All you need to give is time and dedication to it and utilize the resources that are available to you, I can speak so from my personal experience. I fly to Mumbai next week moving into Accenture Analytics. All I hope is this post will help many like me, who just need a little push to get them on their way. I am a Telecom Engineer with 7 years plus experience and nearly all of my experience has been in the field of network optimization. Telecom is field where we mostly work with large amounts of data and gradually my job role shifted from core technology to graphs, excel and PowerPoint. Mostly data interpretation and representation. During the course I even learnt basic level of vba to develop excel Macros. And recently someone introduced me to the field known as Data Analytics and I just can’t stop thinking that how did I overlook it for so many years. This is something that I should have built my career with in the first place. I have been searching the net about it since that very moment. Trying to find out ways to switch my career and become a Data Analyst. And I happened to find this post in one of your Quora answers. And as you mentioned about MOOCs, this one post is like a gold mine for me. I want to start with courses and projects but there are some doubts that are still holding me back. Now that I have a tag of an experienced Telecom Professional, do you think I have a chance to succeed in this field if I start now? Or is it too late and I should try to make the best out of my current profile? Although I have very limited information to give any suggestions but yes you can make the shift. I am not the one who have good dedication, So I would prefer to go by institute and learn, I came across edwisor.com where they are providing us self paced course with recorded videos and live doubt clearing sessions on weekends. I request you to kindly check with their course curriculum and advice a person who is completly new to data science and have to start things from scratch. Is it good to do jigsaw’s Full Stack Data scientist course?? Sorry Rajesh I have no idea. Best you can connect with alumnis. Good Evening. Myself Madhan ( 2015 passed out – B.Tech Leather Technology). Via campus placements I got into a leather firm as a trainee but due to some chemical allergies I was forced to quit the job by Jan 2016. After that tried to give my best in banking exams but that didn’t work for though I’m very good at aptitude, problem solving skills. 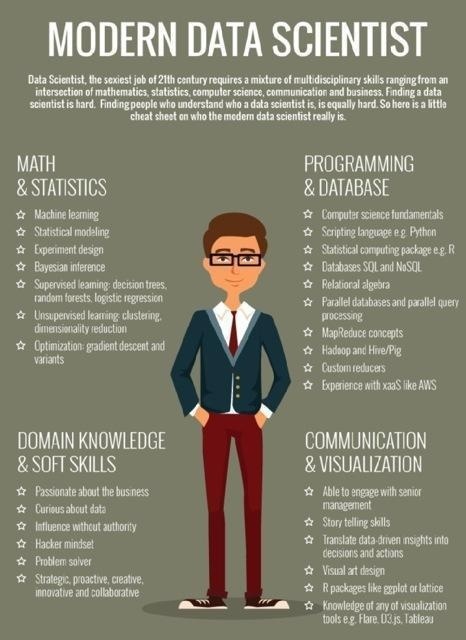 Through your blog I came to know about Data Analyst role and the skills required. I think I can give my best in this. Could you please guide me through this , as a fresher what should I do ? Is it enough to follow the steps you mentioned in this blog ? Thank you very much. Looking forward to get a response from thou sir. What worked for me might not work for you. You need to make your own plan and implement it. What I can tell is if you work hard at acquiring the right skill-set then you can definitely make the career shift. i have 2.5 experience on Support project but i am not at all interest in this..i like t work on challenging project so i started learning Data analytics since 4 months and i want to switch my domain to Data Analytics so is it possible to get a job in this without having any exp on Data analytics. Took me close to 9 months to prepare and I got offers almost immediately. I want to do a Masters in Data Science from an Australia university and would probably come back to India after completing my Masters. My question to you is, would it be accepted back in India to get a job in the field of Analytics. Thank you! Absolutely. As a matter of fact I am going to US in a less than a month to pursue higher studies in analytics. I plan to come back to India in a few years. So don’t worry, analytics job market in India is booming. Thanks Akshay for sharing the valuable information! IFMR now offers offline data science training in Bangalore & Chennai based on machine learning technology; with three terms of nine months certificate program in data science, Business Analytics & Big Data in association with IBM. Thanks for your guidance Akshay to Start a Career in Analytics..! Using the business analytics is becoming a huge thing in the modern Business world. Learn it now with http://ifmr.ac.in/datascience/ business analytics course provider in Chennai. I think its helpful for who are wants to start their career in Chennai or Bangalore with business analytics. Thanks for pointing that out, I’ll make the necessary corrections. There are plethora of options on the net, so it would be hard for me to suggest specific courses. Next What to expect in an Analytics Interview?